Self- steam means to have anility of doing hard activities, and individuals have feeling of completeness. Beauty is necessary to get completeness and no need to explanation. In other word, beauty increases your self- steam. Harmony and proportion is so soft. Beauty creates enjoyable feeling for addressed, not only increase influence of language, but also, increase patience of listeners. So, due to the enjoyable feeling, everyone likes to communicate with that person and this means to social acceptability and popularity. You look at the mirror, do you have proud feeling or humiliation feeling? You see your beauty not your morality, so, your appearance affects on your mood. Self- steam, social popularity, self- love, perfect social relations, better job opportunities, better marital relations, improving quality of life and so on, affect on your fate. Face, is the most important part of your body, and nose is located at the middle of your face, so plays important role in your beauty. 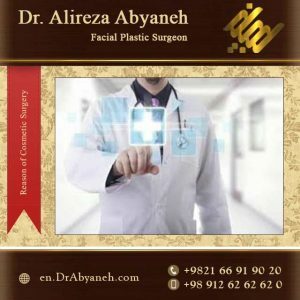 If cosmetic nose surgery performed by a skillful surgeon, will have positive and considerable effects on your appearance.